Introducing the Piping Plover: the cutest bird you’ve probably never heard of. These tiny shorebirds make their homes on rocky beaches across North America, nesting in sandy dunes and feeding on bugs and small marine crustaceans. At one time as many as 100 breeding pairs could be found along Ontario’s Great Lakes, but by the late 1970s the plovers had all but disappeared as beaches were developed and important habitat faced increasing human disturbance. 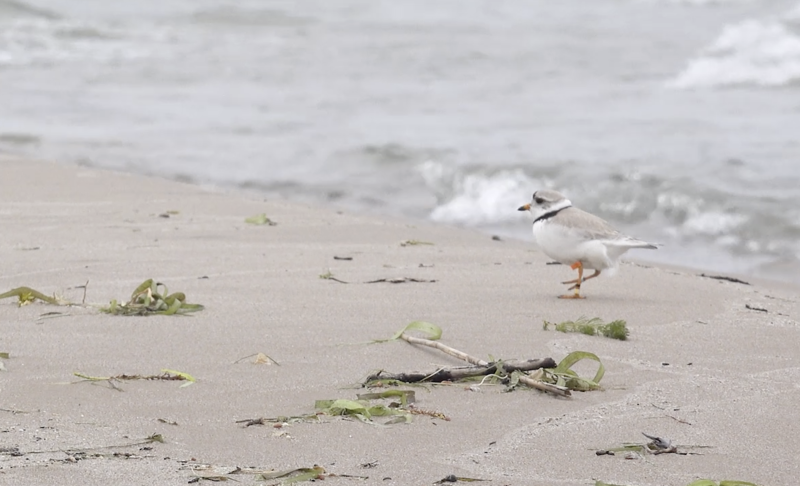 Happily, a pair returned to Lake Huron in 2007 after a small number of dedicated stewards and biologists made a concerted effort to maintain the plover’s habitat. Numbers slowly began increasing, with piping plovers nesting in larger numbers and on more beaches each year. Conservation efforts are now focused on sustaining this positive trajectory by increasing on-the-ground action and community engagement across the province.